Beparwaiyan video shoot took place in Patiala at the studios of music video director Robby Singh - he’s the guy who’s made several big music videos including 'Dope Shope’ by Yo Yo Honey Singh and Miss Pooja’s ‘Painkiller’. A specially erected set was made for this video Beparwaiyan, here’s a few shots from the video, we’re hoping to tug at the heart strings with this one. Beparwaiyan is in collaboration with Dr.Zeus. The video is expected to be out in mid-march. Eros International has announced the appointment of Ajit Thakur as CEO to spearhead the company’s motion pictures production division, Trinity Pictures. Ajit has joined the leadership team at Eros and will lead Trinity Pictures’ endeavor to invest in developing intellectual property in-house. Speaking on the development, Jyoti Deshpande, Group CEO, Eros International said, “We are excited about taking a big creative initiative with Trinity and warmly welcome Ajit to join the Eros family to drive this initiative with his wealth of experience and successful track record. While our acquisition and co-production model is all about scale, portfolio and market share, the Trinity label will be all about quality, success rate and building franchises with lasting value which perfectly complements our overall content strategy. We are fortunate to have David Maisel, the founder of Marvel Studios on the board of Eros International plc and are hopeful of recreating some of that franchise magic for Trinity”. Ajit Thakur, CEO, Trinity Pictures added, “It has been a dream to build a franchise based motion picture label and in Eros I have found a perfect home to my dreams. I am happy to be a part of the Eros family, India’s biggest film studio and hoping to create at Trinity something meaningful and of lasting value”. Before joining Eros, Ajit Thakur has held a number of key positions for companies such as Coca Cola and Unilever, UTV, Sony Television and most recently Star TV. This week , CID team is about to encounter a very twisted case of a strange woman who suffers from sleep walking. The story starts when this strange woman enters a house and is about to attack a small child when his parents- Anand and Krutika manage to stop her and in the ensuing struggle, the girl is pushed out of the window from a height of 30 feet. But to the shock of the family, she does not land on the ground below the window but instead disappear into thin air. The family decides to leave the house, but as they are driving down the deserted road they are once again attacked by the ghostly stranger and their car hits a tree. The next morning the small child, Sunny is found wandering in the jungle asking people to save his parents. The CID team gets on the case to help the small child find his parents. The team manages to trace the stranger but at the same time are taken aback to find that the woman, Shruti suffers from sleep walking and doesn’t recall any of the events of that night. The question that comes is, is it possible for someone to travel a distance, enter a house and attack a family under the effect of sleep walking? Is Shruti telling the truth or is someone else using her as a weapon to commit these crimes? Will CID team find out Shruti’s truth or will the criminal succeed in bluffing them? To find out, watch CID on 22nd February, Sunday at 10PM on Sony Entertainment Television. Swara Bhaskar has been admiring the Tamil film industry for a while now. She has acted with R. Madhavan and Dhanush in her films Tanu Weds Manu and Raanjhanaa and found them to be good people apart from being great actors. But a stint in the experimental film X brought her closer to the Tamil industry and the the working of its technical crew. X is a film that looks at a filmmaker's fractured journey through life, presented through fragments of his past. The narrative unfolds in the course of a night when he meets a mysterious girl who triggers off memories of all the women who shaped his life. Since no two women are alike, each woman has been treated by a different filmmaker. Eleven filmmakers with disparate styles worked on this bridge between different kinds of Indian cinema. And after all the chapters of his life were shot, the episodes were broken down again into further pieces and put together like a jigsaw puzzle by ace editors Sreekar Prasad and Vijay Prabakaran. Swara stars in the segment directed by Nalan Kumaraswamy, one of the Tamil industry's brightest new directors whose directorial debut Soothu Kavum has acheived cult status in new Tamil cinema. Swara's character is crucial as she is the key to unlocking the mystery of how the entire narrative comes together. Says Swara, "I am mighty impressed with the working of the technical and creative crew of the Tamil film industry. We shot in a village two hours outside of Madras and the punctuality and professionalism of the crew was impressive. Nalan is a fantastic director who wastes no time, knows what he wants but also knows to play and improvise on the spot. The story was written by national award winning writer-director Thiagarajan Kumararaja, whose Aaranya Kaandam is a cult film. I essay a Tamil character so has to speak Tamil dialogues too. All in all it was a great experience that left me admiring the people who make up this dynamic industry. I'm grateful to Sudhish Kamath who convinced me to be part of this project, and I'm now actually looking forward to doing a Tamil film! (smiles) "
X is produced by Aankhon Dekhi producer Manish Mundhra and Shiladitya Bora and Sudhish Kamath have helmed the project. It also stars Rajat Kapoor, Huma Qureishi, Anshuman Jha, among a talented ensemble cast. Acclaimed filmmaker Tigmanshu Dhulia will be honoured at the much awaited First Edition of International Film Festival of Prayag (IFFP) to be held in Allahabad from 26th to 28th February 2015. Tigmanshu Dhulia is well known for his movies like Haasil, Charas, Saheb Biwi Aur Gangster and Bullet Raja. National Award wining Movie Paan Singh Tomar director has his roots in Allahabad as he was born there. Director Tigmanshu Dhulia will also share tips on movies and direction with budding filmmakers during the three day film festival. With the support of cine lovers, Allahabad is all set to hold the 1st International Film Festival of Prayag, 2015! The festival of 3 Days, occurring on 26th, 27th and 28th February’2015, will be a unique one. Sony Entertainment Television’s Itna Karo Na Mujhe Pyar is gearing up for the biggest wedding ever seen on Indian television. From haldi and mehendi to sangeet and pheras, all the rituals are touted to be a grand affair. Bringing an extra dose of entertainment and glamour to the sangeet sequence were four renowned television actresses– the talented and beautiful Mona Singh, Aishwarya Sakhuja, Pratyusha Banerjee and Aashka Goradia! In this star studded affair, the actors shook a leg to the popular song Deewangi from Shahrukh Khan’s hit flick Om Shanti Om. While Pratyusha and Aashka are part of the Sony family portraying the role of Saagarika and Bhatiyani, Mona and Aishwarya have enjoyed a long standing association with the channel. All the four actresses gave their on screen characters a miss and performed like the stars they are. Making it one glittering evening, these actresses danced with Ronit dressed in beautiful black and red attires. The sequence which was shot on Valentine’s Day, saw the five stars get along like a house on fire. They rehearsed, laughed and danced as they tried to get their steps right. Ronit was also overheard saying that he is considering himself very lucky as he is shooting with four of the most beautiful actresses on Valentine’s Day! CHHANDA Productions promoted by Partha Banerjee launched amidst a fun filled evening kicked off with saraswati vanadana and was attended by dignitaries from Film Industry. Unveiling the Production house logo, they announced the launch of its First Bollywood Film Titled “PRAPANCH”. The movie is backed by experienced and credible names from Bollywood and is slated to go on floor soon. Noted Lyricist and screenplay writer, Mehboob Kotwal, who has worked with talent powerhouse AR Rahman on several projects as Bombay, Album Maa Tujhe Salaam, Yuva, aparichit etc is doing the screenplay, dialogue and lyrics for Prapanch. Script is by Partha Banerjee. CHHANDA PRODUCTION also launched its first Music Album “A Tribute to the Brave Hearts” dedicated to Indian Cricket Team, which is set to defend their WORLD CUP TITLE shortly. The songs sung be the debutant singer and music composer Shivamit who will also be doing a song for the movie PRAPANCH. The 23 year old Shivamit trained under the composer Narendra Nirmal and singer Sucharita Gupta of the acknowledged Banaras gharana. The evening was enhanced with fusion band “Duel Spirit” playing the Indian Classical Rock and Folk Rock music The event was held on today 11th February 2014, at Country Club Andheri. Universal Music, India’s leading music label are proud to introduce Nagpur to their `pop-up nightclub’ property TROT - designed to travel across India bringing in quality Electronic Dance Music experiences to fans. TROT promises to design & deliver great musical journeys for all fans in lieu of seeding the next-gen culture in the space which Universal has termed TOURTRONIC. The property presents the newest on the EDM scene coupled with a great ambience and high-end technology, cutting-edge sound, deep visual mapping and program great journeys through the most sought after talent. With the promise of a trend-setting nightlife experience, and the sheer intensity of talent, this property promises to become the most aspired closed-door experience to hit India in 2015. Speaking about the property, Devraj Sanyal, Managing Director, Universal Music Group& EMI South Asia said, “We wanted to take TROT to those destinations that are not always on the map as venues for live events and concerts. Nagpur is one such city where there is a thriving young population that like to experience great live music but does not often get the chance to do so. We are very happy to bring them this experience and we hope that they enjoy it”. Nagpur is gearing up to witness the third edition of India’s most thrilling Electronic Dance Music property today,13th February’15, Friday at Tuli International from 6:30pm onwards. Dolly Ki Doli faring well in Pakistan ! Kinesis Films & Arbaaz Khan Productions’ Dolly Ki Doli starring Sonam Kapoor, Pulkit Samrat, Rajkummar Rao and Varun Sharma proved to be a wholesome family entertainer that not only did encouraging business on home turf but also overseas. While the film did great business in UAE centers, it also continues to do well in Pakistan. The much-awaited 'Dolly Ki Doli' made its way to the big screens in Pakistan, earning Rs 5 million on the opening day.The hilarious comedy, was screened at 35 cinemas , on 65 plus screens (68-70 screens approximately in total including e-print and DCP) in cinemas nationwide. The film has been a success also because it comes on the heels of Sonam’s last feel-good film Khoobsurat which also went on to do great business in Pakistan. The success of the film in Pakistan could owe to its popularity in the country, the wholesome family entertainment quotient, the song "Mere Naina Kafir Ho Gaye" by Rahat Fateh Ali Khan- a hightlight in the film. Malaika Arora Khan's item number and Saif Ali Khan's guest appearance all add to the Bollywood masala the film has to offer. Ssharad and Rushiraj’s love for horse riding! Well the picture truely proves their love for horse riding! Sony Entertainment Television’s Itna Karo Na Mujhe Pyar is gearing up for the biggest wedding ever seen on Indian television. From haldi and mehendi to sangeet and pheras, all the rituals are touted to be a grand affair. Bringing an extra dose of entertainment and glamour to the sangeet sequence were four renowned television actresses– the talented and beautiful Mona Singh, Aishwarya Sakhuja, Pratyusha Banerjee and Aashka Goradia! In this star studded affair, the actors will shake a leg to a medley of songs recreating the popular Om Shanti Om dance sequence. While Pratyusha and Aashka are part of the Sony family portraying the role of Saagarika and Bhatiyani, Mona and Aishwarya have enjoyed a long standing association with the channel. All the four actresses gave their on screen characters a miss and performed like the stars they are. Making it one glittering evening, these actresses danced with the Patel, Khanna and Shah family. The sangeet sequence also saw the sizzling jodi of Ronit Roy and Pallavi Kulkarni aka Neil and Ragini give a breathtaking performance as their respective better halves in the show, Nivedita (Sayantani Ghosh) and Aman (Darshan Pandya) looked on going green with envy! 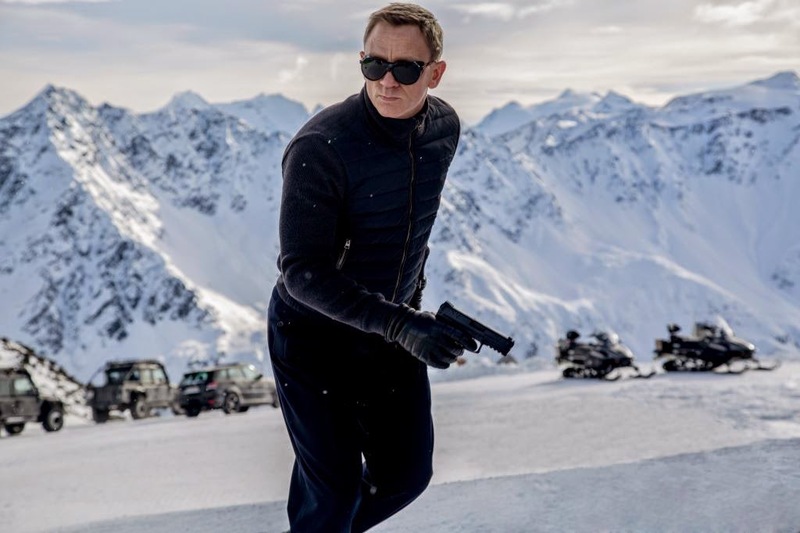 Watch the first exciting footage of SPECTRE from Austria on www.007.com. Featuring behind the scenes action with Daniel Craig, Léa Seydoux, Dave Bautista and Director Sam Mendes. OR PLEASE CONTACT ME TO SEND YOU A DOWNLOADABLE LINK. A FIRST LOOK PICTURE OF DANIEL CRAIG AS 007 JAMES BOND IN SPECTRE IS ATTACHED. EON Productions Limited and Danjaq LLC are wholly owned and controlled by the Broccoli/Wilson family. Danjaq is the US based company that co-owns, with Metro-Goldwyn-Mayer Studios, the copyright in the existing James Bond films and controls the right to produce future James Bond films as well as all worldwide merchandising. EON Productions, an affiliate of Danjaq, is the UK based production company which makes the James Bond films. The 007 franchise is the longest running in film history with twenty-three films produced since 1962. Michael G Wilson and Barbara Broccoli succeeded Albert R ‘Cubby’ Broccoli and have produced some of the most successful Bond films ever including CASINO ROYALE, QUANTUM OF SOLACE and SKYFALL. Three-time Academy Award® winner Meryl Streep goes electric and takes on a whole new gig – a hard-rocking singer/guitarist – for Oscar®-winning director Jonathan Demme and Academy Award®-winning screenwriter Diablo Cody in the uplifting comedy Ricki and the Flash. In a film loaded with music and live performance, Streep stars as Ricki, a guitar heroine who gave up everything for her dream of rock-and-roll stardom, but is now returning home to make things right with her family. Streep stars opposite her real-life daughter Mamie Gummer, who plays her fictional daughter; Rick Springfield, who takes on the role of a Flash member in love with Ricki; and Kevin Kline, who portrays Ricki’s long-suffering ex-husband. The glitz and glamour of a star-studded event starts much before the doors to the magical night open. It starts at the beautiful red coloured path laid out before the celebrities as they enter the gala event. Star Movies considers its viewers as the celebrities with the right to their own red carpet introduction to Hollywood’s biggest stage – The Oscars on 23rd Feb 5:30 am. With the biggest night of Hollywood just around the corner, it’s no wonder that the official Home of Oscars in India – Star Movies has created a unique experience for its viewers. The run-up to the Oscars will have Star Movies showcase the most celebrated movies at the awards – The Oscar Fever. Get ready to feel the essence of beautiful cinema that has been graced by Oscar awards and nominations Monday to Friday 7pm starting 9th February. This elite lineup includes the mighty Gladiator, the magical Frozen and the eccentricities of Captain Jack Sparrow in the Pirates of the Caribbean: The Curse of the Black Pearl. Star Movies viewers will re-visit a writer’s view on classics like U-571 and Inglorious Basterds that captured the imagination of movie lovers and critics alike. Walking back from the future will be Arnold in Terminator 2: Judgement Day. Who can forget War Horse, Aladdin, Ratatouille and Toy Story 3 – the heartwarming stories that made movie lovers fall in love with the craft of storytelling. With a stellar partnership of 16 consecutive years with the Academy Awards, Star Movies has always strived to bring to its viewers the beauty of Hollywood with films which have formerly been nominated or have been winners of the most prestigious day for Hollywood. Movie lovers across the country will stay tuned weeknights at 7pm as they lounge in their comforters reeling under the Oscar Fever only on Star Movies. Ranbir Kapoor: It takes a lot of courage to make a film like ROY!! Ranbir Kapoor joined team ROY in the capital city along with Arjun Rampal, Jacqueline Fernandez, Producer Bhushan Kumar & Director Vimrajit Singh!! Speaking about the film Ranbir said. " There is a different approach to this film, I think it s take a lot of courage to produce such a film, Kudos to producer Bhushanji as a producer which is not a typical hindi format, its not a typical love story, romance is there but its not a typical boy girl romance in Bollywood, so I think its breaking form and content is something which is very risky, at the same time something very brave to do ( by Director Vikramjit) I am very excited as this is my first release after Besharam!! Well! get set as ROY is all set to hit the screens on 13th Feb with a stellar cast & performances by Ranbir Kapoor, Arjun Rampal & Jacqueline Fernandez!! FOX leads Oscar Nominations 2015 and is re-releasing The Grand Budapest Hotel and Gone Girl in Indian theaters! After 20th Century Fox won the triple crown of box office, as market share leader for 2014 in India (Hollywood) , International and Global box office, breaking industry records for a calendar year in both the International ($3.73Billion) and Global box office categories ($5.52Billion), the studio has score the maximum Oscar nomations for 2015!! What's more , for all the Indian movie fans out there, the studio is re-releasing The Grand Budapest Hotel and Gone Girl in theatres from next week!! "The Grand Budapest Hotel "
Best Visual Effects : "X-Men: Days of Future Past"
Best Animated Feature : "How to Train Your Dragon 2"
Best Visual Effects : "Dawn of the Planet of the Apes"
Fox International sets a new industry record for box office in a calendar year by grossing more than $3.7 billion in 2014. That eclipses the prior industry record set by Paramount ($3.21B) in 2011 by over $500m GBO. India also saw Fox Star Studios setting a new record with 10 Hollywood hits in 2014, including X Men: Days of Future Past, Dawn of the Planet of the Apes, How to Train your Dragon 2, Exodus, Rio 2, Gone Girl, Penguins of Madagascar, The Fault in our stars, Maze Runner & Night at the Museum 3. Fox Star Studios managed to generate about 3 times box office over the previous calendar year, and retained its No.1 position for the 3rd time in the past 6 years in Hollywood. Fox Star Studios have had a great run in India, with the biggest Hollywood grossers of all time Avatar (No.1 with Rs. 144 Crores GBO) & Life of Pi (No. 2 with 95 Crores GBO), and various other blockbuster franchises including X Men films & Ice Age films. Win includes the prestigious `Record of the Year’, `Song Of The Year’ and `Best New Artist’ Awards! It's been a big year for Universal Music Group’s artist Sam Smith with the young Brit taking home some of the biggest laurels the Grammy’s have to offer. The British Singer won two of the top Grammy awards `Record Of The Year’ and `Song Of The Year’for his heartbreak single “Stay with Me (Dark child Version),”and was also anointed the`Best New Artist’. His debut album “In The Lonely Hour” won `Best Pop Vocal Album’. Just over two years ago, Sam Smith captured hearts throughout the world when he released a stripped-back, acoustic video of “Lay Me Down”. Two years later and Sam Smith is still the name on everyone’s lips as last year saw Sam sell over five million copies worldwide of ‘In The Lonely Hour’ making him one of the fastest-selling British debut artists of all time. 2014 saw Sam go from newcomer to international superstar having now collected an impressive array of prestigious music awards with four more to his name after last night’s Grammys. It was also recently announced he was the only artist in the world last year to reach over 1 million album sales in both the UK and the US. As he accepted the award for `Record of the Year’, the 22-year old Smith said, "I want to thank the man who this record is about, who I fell in love with last year. Thank you so much for breaking my heart because you got me four Grammys." Smith also sent out a message to viewers earlier during the telecast urging audiences to accept themselves for who they are saying, "Before I made this record, I was doing everything to try and get my music heard, I tried to lose weight and I was making awful music and it was only until that I started to be myself that the music started to flow and people started to listen." 2015 is shaping up to be bigger than the last year with Sam’s escalating success and multi-national sales making him one of the UK’s most exciting home-grown talents. `In The Lonely Hour’ is available exclusively on Universal Music across all physical and digital platforms. Sandesh Shandilya Gets a Standing Ovation for his First Symphony performance in Colonge, Germany. Sandesh Shandilya Performed his First Symphony Composition “SEARCH FOR BUDDHA”. The World Premier was held on February 6th 2015 at the Funkhaus Wallrafplatz, WDR Cologne, Germany, with the WDR Funkhausorchester and the WDR Rundfunkchor, Conducted by Wayne Marshall. He also performed on 7th February 2015 at Bielefeld, Oetkerhalle. The composition "Search For Buddha" was comissioned by the WDR Cologne. Sandesh reveals, “It’s a dream for a composer. My symphony, called the Search For Buddha, is based on world peace. I have worked out Hundred hours of music so far for the symphony, I had to connected with the western music. “I met Markus Stockhaousen — a famous jazz-trumpet player — with my compositions, who then referred me to the organisers of symphony in Cologne. Mine features artistes from all over the world, including from the Middle East and South Africa. It was an unforgettable exposure, and I wish to perform this symphony in India soon.” With this, Sandesh will add his name to a prestigious list of Indian symphony composers like maestros Pandit Ravi Shankar, Pyarelal and Ilayaraja. Sandesh also says, “It’s all destiny. People who have worked with me know my sensibility”, all good things come to people who wait, and keep at it. His last composition for film music was for Ketan Mehta’s Rang Rasiya, a biopic about painter Raja Ravi Varma. “The film released late and didn’t do well, but its music was popular with those who heard it. Especially with my co-artistes in the symphony, who then welcomed me with open arms. Don’t set many rules, we don’t know what awaits us,” he maintains. Sandesh swears, and adds that he is lucky to have the backing of a few good friends in the Bollywood music arena. Currently, Sandesh is busy composing for Sudhir Mishra’s Aur Devdas, Time Out, John Abraham’s Satra Ko Shaadi and for Amit Roy’s IPad. The “Living For Love” music video was directed by J.A.C.K. - JulienChoquart and Camille Hirigoyen. It was edited by Danny B. Tull, styled by B. Akerlund and choreographed by Megan Lawson. Watch the video on Vevo. “Living For Love” is the first single from Madonna’s 13th studio album, Rebel Heart, which will be released by Interscope Records on March 10th and is available for preorder on iTunesand Amazon. Three additional songs will be available with the preorder of the album on iTunes on February 9th (February 10th internationally) and those who preordered the album prior to this date will have those three songs automatically delivered to them. Rebel Heart will be available as a 14 track Standard release (digital and physical), a 19 track Deluxe version (digital and physical), a 25 track two-disc Super Deluxe version (physical only) and on vinyl. “Living For Love” will go to radio on February 12th. This Sunday, February 8th, Madonna will perform on the 57th Annual Grammy Awards at the Staples Center in Los Angeles, CA and televised live CBS at 8PM EST/PST. On Wednesday, February 25th, Madonna will perform on 2015’s BRITS Awards at London’s O2 Arena and televised live on ITV. T-Series upcoming film ROY is surely one of the most anticipated films of 2015. The film has great music to boast off, some stellar casting- Arjun Rampal, Jacqueline Fernandez & Ranbir Kapoor to be seen together in one frame. We hear Arjun Rampal & Ranbir Kapoor bonded well on the sets of Roy, its fun to see two great actors on the sets enjoying and talking about everything under the sun. A source close to the production team confirmed and said, "Arjun treats Ranbir as his younger brother and during the shoot in langkawi both these men wanted to go off for sailing, and their favourite pass time was fishing, while not shooting. As soon as they used to hear pack up , they would instruct the sailor to hop on and take them into the deep sea for fishing and bonded quite well! ROY Produced by Divya Khosla Kumar, Bhushan Kumar & Krishan Kumar, directed by Vikramjit Singh is scheduled to release on 13th February, 2015. Eros International, Phantom Films & Clean Slate Films launch the trailer of NH10 ! New age, gritty and power-packed ,Eros International , Phantom Films and Clean Slate Films' NH10 is a stereotype-breaking entertainer. The trailer is every bit a glimpse into the edge-of-the-seat and action-packed thriller starring Anushka Sharma, Neil Bhoopalam and Darshan Kumar in lead roles. The trailer of NH10 was launched amidst a packed house by actor-producer Anushka Sharma, Neil Bhoopalam, director Navdeep Singh ,producers Sunil Lulla & Krishika Lulla of Eros International and producers Vikramaditya Motwane and Vikas Bahl, Phantom Films. Talking about the film says director Navdeep Singh , " NH10 is the story of a young upper middle class couple driving to a well-earned weekend getaway not realizing what’s in store ahead! It is something that hasn't been attempted before and will stay with you much after the film". Says Anushka Sharma, “NH10 has been the most exciting journey for me . Taking on a new role as a producer with this film has taught me a lot . I am really happy the film has shaped up well and grateful for a wonderful crew and cast that made it possible"
Says producer Krishika Lulla, Eros International, “With a compelling script and great performances, NH10 promises to be an interesting journey and we are happy to support such strong content driven films”. ​Eros International, Phantom Films & Clean Slate Films’ NH10 is scheduled to release 6th March 2015. Formed in 2012, Phantom Films was floated by the directors’ league of Anurag Kashyap, Vikas Bahl, Vikramaditya Motwane and Madhu Mantena. Clean Slate Films is a film production helmed byAnushka Sharma & Karnesh Sharma. Eros International Media Limited (ErosInternational), a leading global company in the Indian film entertainment industry. About NH10 : NH10 is the story of a young upper middle class couple Meera and Arjun, driving to a well-earned weekendgetaway. Somewhere on the road, they step in to help sort what seems like ausual village skirmish…not realizing what’s in store ahead! A thriller at heart, it’s essentially a story of survival and courage – of how a woman stacked against all odds manages to not just stick it out but indeed…Give It Back! Kangana Ranaut's personal water war ! Kangana Ranaut who has consistently wowed audiences and the critics alike with her performances will have many impressed with her new initiative. The actress who has always taken a strong stand on things she believes in ,has decided to bring focus on the "save water" cause that India has faced for several years and wants to begin by setting a personal example. Kangana who recently shifted into a new apartment in the suburbs ,will be converting her private pool into a garden area and plans to personally tend to the gardening - Kangana feels strongly about saving water given that on premises access to clean water is something only one in four people have in India, according to UNICEF. The actress believes that the any kind of change starts from home and hopes to set an example. On international turf, Hollywood star Matt Damon too has strongly backed the cause and founded Water.org in 2009 that looks to provide clean water to developing countries. The actor in fact had visited Bangalore, Chennai and Pondicherry to address the global water crisis.